In the highly competitive business world, innovation can be defined as the random creation of new ideas, nurturing them to perfection, and make use of them in commercial terms to reap best results. In order to incept and nurture innovation, there are a handful of proven processes and techniques, which are now used by businesses and organizations. All such processes and practices come under the specialty of innovation management, which is now a unique business doctrine. To accomplish business success through innovation, there are various corporate innovation programs, which happens around in many organizations now. The ultimate goal of all these initiatives is the same as to foster innovative ideas to be implemented on commercial projects for better returns and business expansion. As far as the new-age innovation management process is concerned, it does not aim at immediate results. You can better identify it as investing time and money to build a better future. There may be many parallel corporate innovation programs running simultaneously, and you don’t known which one will result in commercial success overtime. This uncertainty also makes many organizations stay away from getting indulged in such innovation; however, we can see every successful organization do practice it in the right manner. If you want to get in track with innovation management, then you need to know what is the most ideal approach innovation management experts use to nurture ideas and implement them. The perfect strategy in corporate innovation program is to give the team members full freedom to unleash their creativity by giving the needed inputs and training. For executors, it is fine even if 99% of generated ideas go completely useless, what left would be worth enough. You cannot force each of the team members to come up with best feasible ideas, which will destroy the beauty of the process. The major advantage of offering freedom to each members to take part in the innovation process is that each member will have a feel of getting involved in the decision making process of the business, which itself can boost up their spirit at work. When they identify themselves as decision makers and get others to listen to their ideas, they can think in all lateral ways to generate fresh and innovative ideas. In collective innovation management, it is always wise for the administrators to talk to the decision makers directly than circulating an e-mail. Open and effective communication channel is essential for effective innovation management and a gap in communication may kill the beauty of the whole idea. Another important aspect to consider while administering corporate innovation management is a reward program. All the best ideas should be rewarded properly. This will give new means to this endeavor and help develop a competitive spirit among the innovators to actively engage in the process. As already discussed, you may not be able to expect instant results from any innovation management practices. 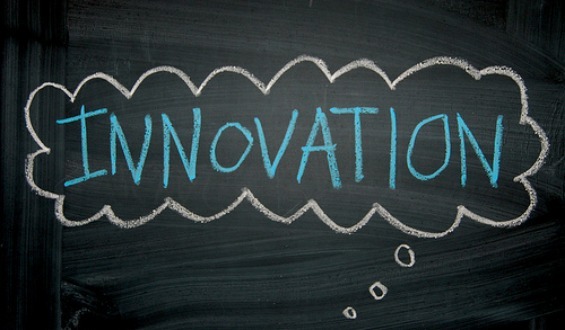 Building new ideas based on the existing innovations is the tactical approach and it is found that most successful corporate innovation programs come up with ultimate innovation for commercialization only towards the end of the process. It may take months or sometimes years. In the beginning phase, the team member may be facing hardship in understanding the ways. However, these hardships can pave way to innovative alternatives to make the ideas more foolproof and solid overtime.